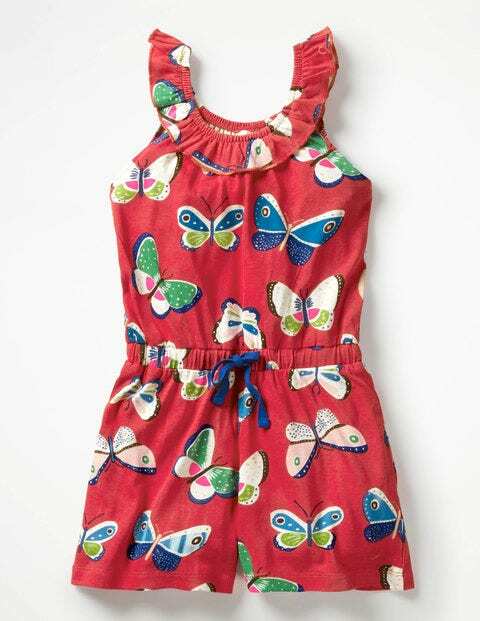 From discovering rock pools to exploring historic towns, this bright printed playsuit has it covered. Choose from rainbow stripes or charming butterflies, each with a pretty ruffle neck. A functional waist tie and soft cotton jersey fabric keep adventurers comfortable all day long.